Discovered Intelligence, today announced it has received the Ecosystem Award as part of the Splunk Revolution Awards for exceptional commitment and passion to encourage innovation within organizations around the world. 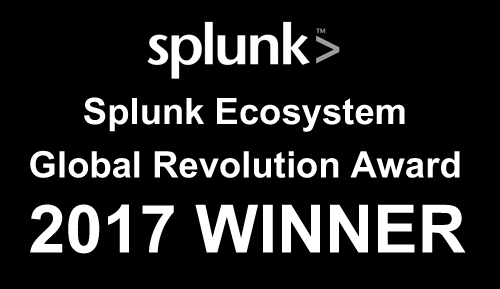 The Ecosystem Award recognizes its rich ecosystem of collaborative partners that help deliver, extend and enrich every Splunk® deployment. Discovered Intelligence has worked with countless Splunk customers to move the needle in a big way for their Splunk implementations. Awards were distributed during .conf2017: The 8th Annual Splunk Conference. “We are extremely honoured to receive this recognition from Splunk. The success of the Splunk platform at our customers is our number one priority and our passionate team continues to deliver and innovate. Winning this award demonstrates our commitment to our mutual customers, the value of our Splunk partnership and the great team we have built,“ said Paul Johnson, president and co-founder, Discovered Intelligence. A Splunk partner since 2013, Discovered Intelligence has worked with hundreds of Splunk customers and actively serviced some of the most successful and largest deployments of Splunk in the world across financial, healthcare, and commercial sectors. 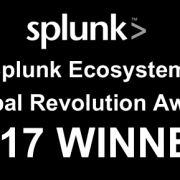 The Splunk Revolution Awards reflect use cases where Splunk customers and Splunk partners are making a significant impact on various industries in brand new ways by enabling vast adoption of Splunk solutions with new and existing customers and partners globally. All award recipients were selected by a group of Splunk nominated judges. Discovered Intelligence is a leading Canadian big data services and solutions provider that specialises in Splunk and serves North America and the U.K. With domain expertise in security and operations, along with deep knowledge of Splunk; Discovered Intelligence expedites customer’s data intelligence initiatives, maximises value and drives superior levels of organizational insight.